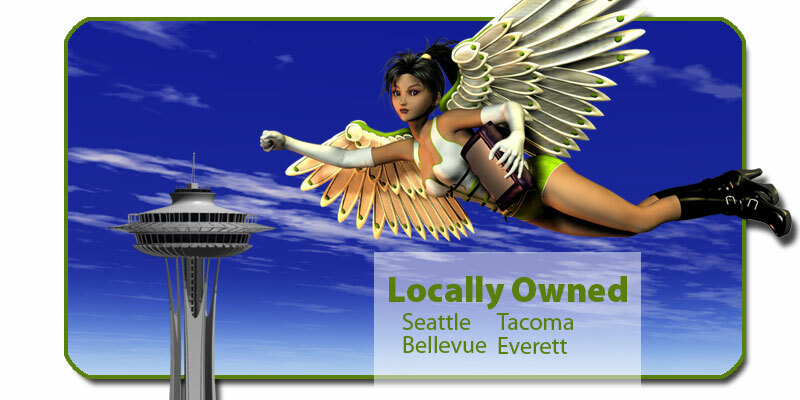 Angel’s Junk Removal is the Greater Seattle Area's premier, locally-owned, cost-effective, full-service junk removal company. Junk removal can be a real hassle, keeping it out of our landfills can be even worse. 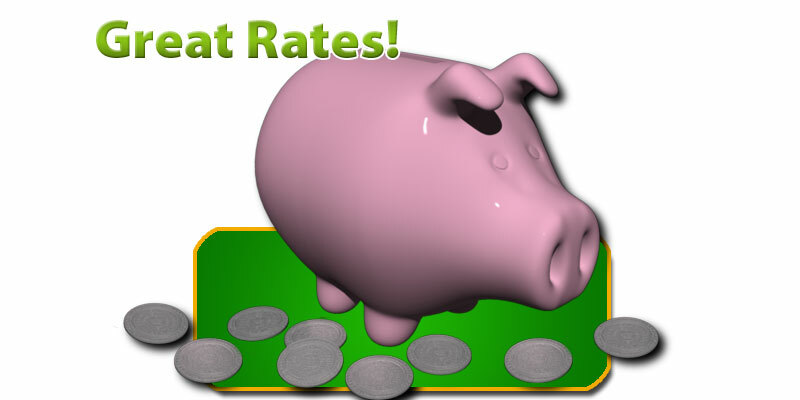 With Angel’s, you are provided with clear and up-front rates. 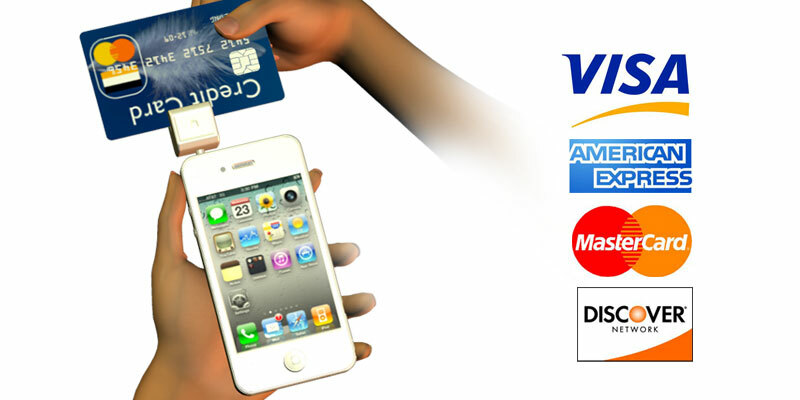 Check out our junk removal pricing page and feel free to book on-line or by phone. Once your appointment is booked, you can be certain that one of our fancy trucks will arrive on-time with a professionally trained staff. We remove nearly everything that isn’t a hazardous material including old electronics, appliances, fencing, lumber, yard waste, tires and automotive parts. All the heavy lifting is done for you saving time to focus on your work, friends and family. 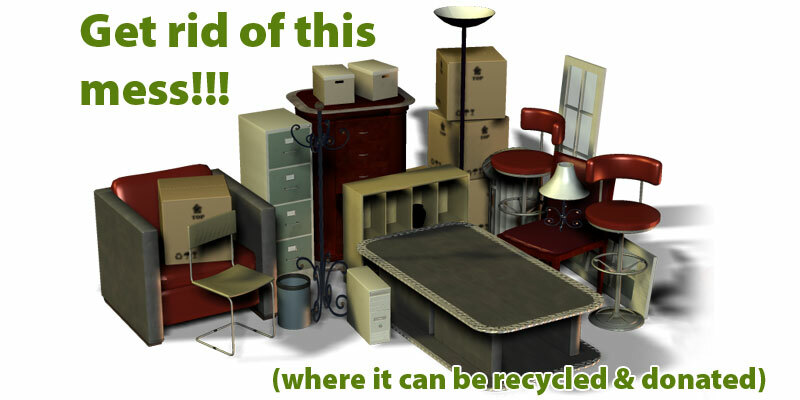 After the junk has been removed, we make certain that reusable items are donated to the proper charity or recycled. We serve both the residential and commercial communities of Seattle, Bellevue and Kirkland, removing minor incidentals to clearing out entire garages. 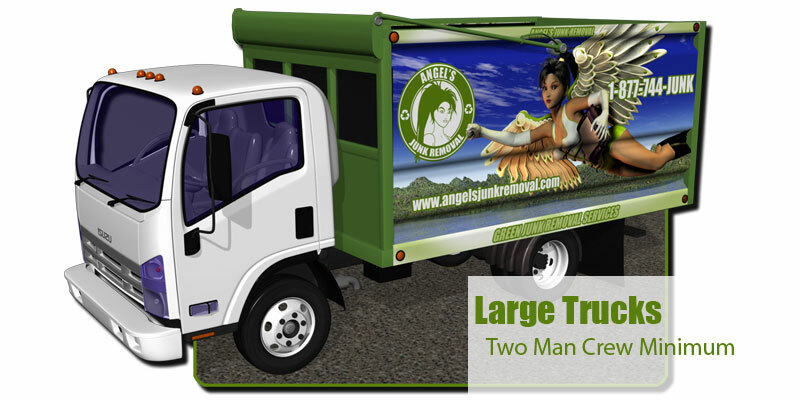 Call us today for all your junk removal needs. In the northwest we know how important it is to preserve the environment. That is why our junk removal services does all it can to keep your junk out of our landfills. 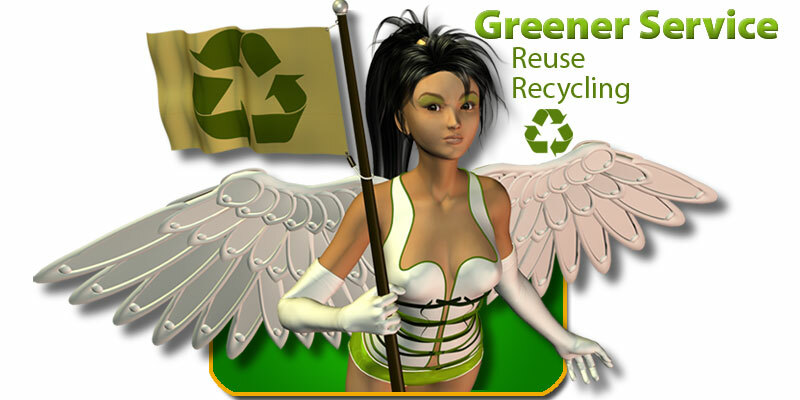 We make every effort we can to recycle e-waste, glass, computers, paper, metal, plastic and electronics. In addition to this our trucks are specially designed to lower their carbon footprint and emissions. Finally, reusable items are donated to local charities so they can enjoy a second life. 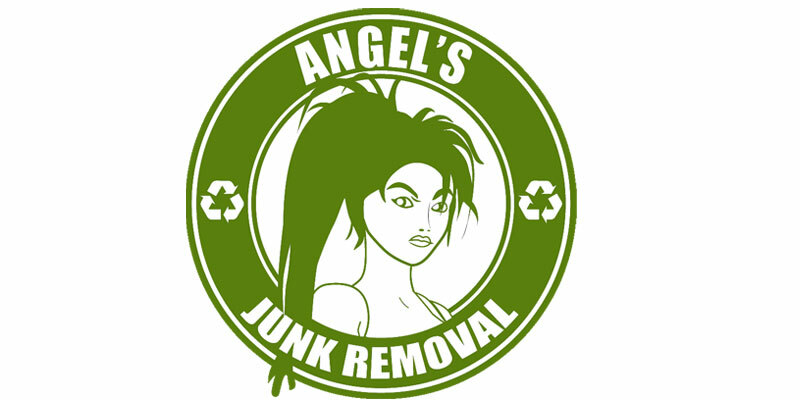 With Angel’s Junk Removal you can feel secure that a minimum of your waste is going to waste. "Angel's removed all the junk from our entire basement. All I had to do was point and when I returned, the the garbage was gone and the room was sweeped. Simply amazing!" "You people showed up right on time, just as promised.. Thank you Angel's. I now have my garage back." "All the junk is gone!. The value of your junk removal service was fantastic. I also appreciate your recycling and donation efforts. I will absolutely recommend you to my friends for their trash removal needs." What Kind of Junk Do We Haul?